Join us at Booth 1460 at APEC 2016 here in Long Beach, CA from 5pm-8pm this evening. 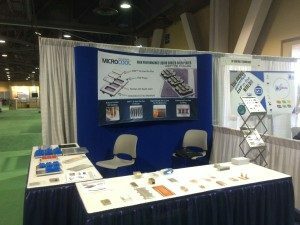 Learn why MicroCool is an industry leader in base plate, cold plate and total cooling loop system designs. We offer a myriad of fin and custom pin fin geometries designed to improve reliability and thermal efficiency in cooling electronic systems. These unique cold plates maximize thermal and pressure drop performance due to enhanced surface area, high fin density and distinctive micro-channel construction.